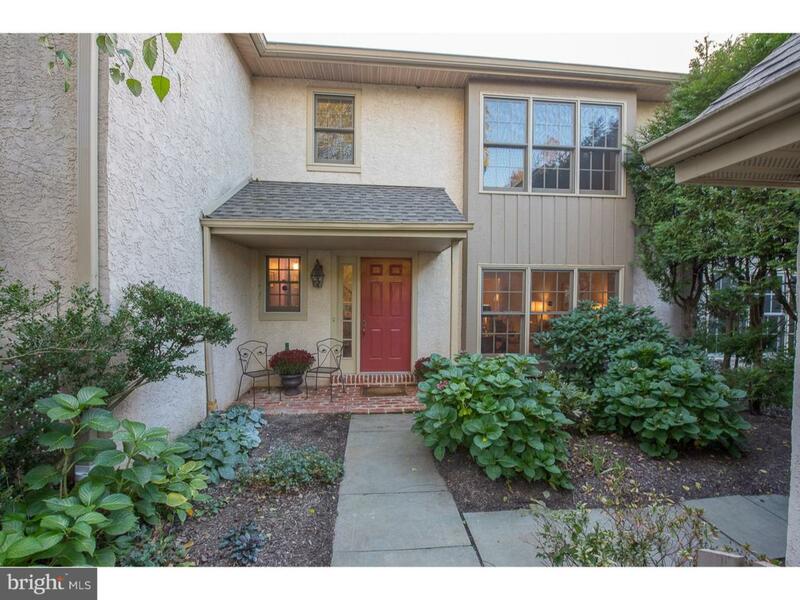 Welcome to this fabulous 3 story Townhome located in one of the Main Line's best kept secrets ~ Waynesbrooke East! This pristine, move in Townhome offers a magnificent view of the Community pond and open space. As you enter you are instantly charmed. 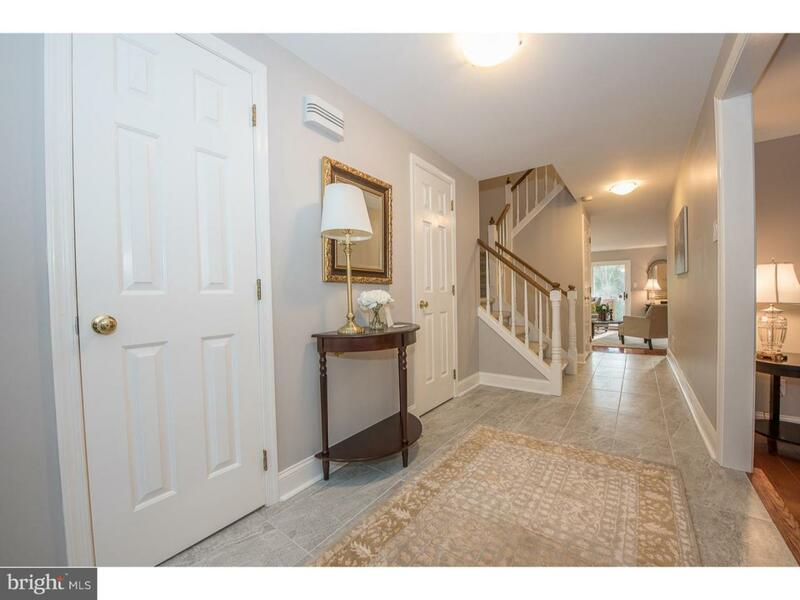 The entrance Foyer features handsome stone tile flooring, coat closet, door to storage with entrance to crawl space. 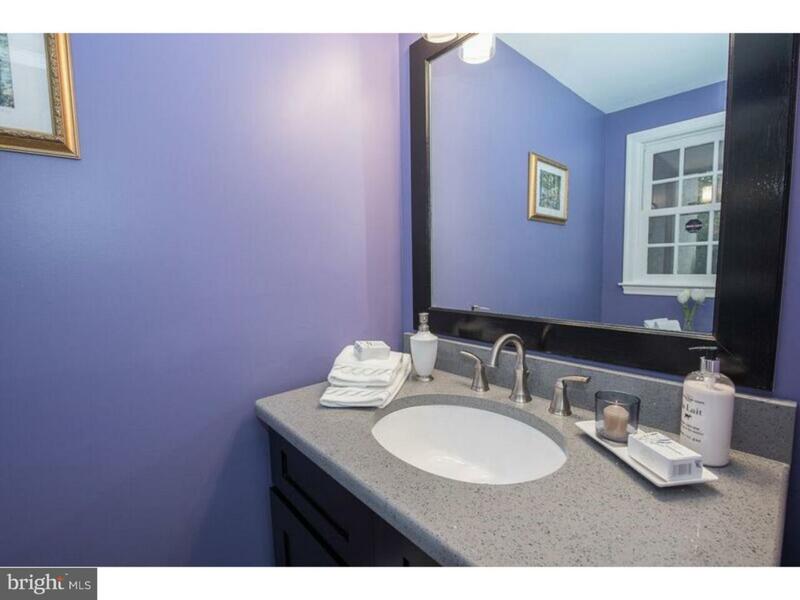 The Powder Room features stone tile floor, new toilet, beautiful new vanity with granite countertop, new mirror and light fixture. 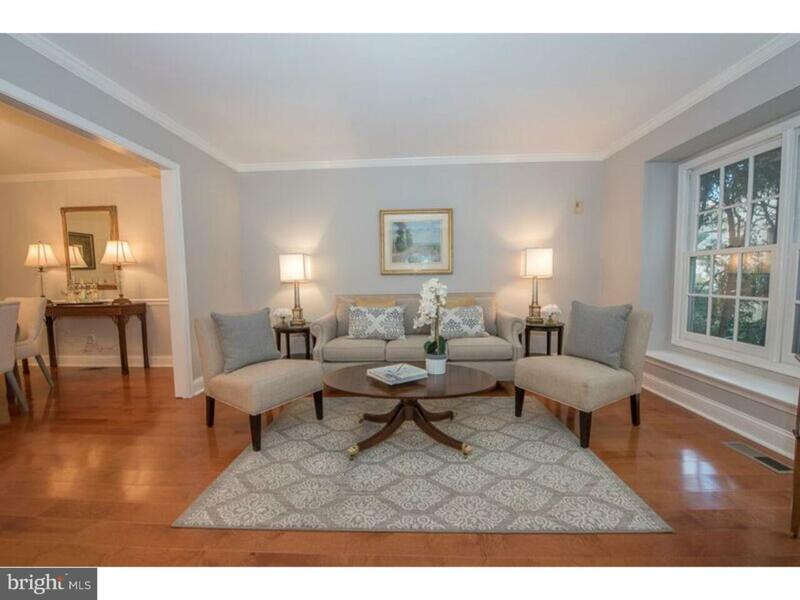 Back in the Foyer step down into a gracious Living Room with crown molding and new wide width hardwood floor. Lovely Dining Room with crown molding, chair rail and new wide width hardwood floor. Back in the foyer hallway step down in a light filled Family Room with wood burning fireplace and fabulous Kitchen with new white cabinetry, quartz countertop, Italian stone backsplash, all new stainless appliances, recessed lights, slider to newer Deck overlooking open space and view of pond. Stairs with new carpet lead to second floor. There is a large Master Bedroom with two closets, hardwood floor. Master Bath has new double vanity with granite countertop, new toilet, shower with rails and garden tub. 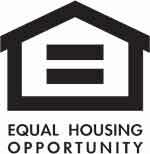 Two additional Bedrooms both with hardwood floor. Hall Bath with new vanity, new toilet and tub/shower. Laundry Room with washer, dryer and set tub. Stairs lead to third floor to the 4th Bedroom with large closet, skylight, recessed lights and hardwood floor. This beautiful home has been totally renovated from top to bottom ~ new Kitchen, new flooring, new lighting fixtures, new Hot Water Heater, new sump pump, freshly painted throughout and more. It is a must see with its interior updates and its serene picturesque setting located in the top rated Treddyffrin/Easttown School District. Enjoy a carefree lifestyle with easy access to shopping, restaurants and major roadways. Pack your bags~ your dream home is waiting for you! !